Police in Westminster, Colo., today officially confirmed that a body found Wednesday belongs to missing 10-year-old Jessica Ridgeway. "We recognize there is a predator at large in our community," said Westminster, Colo., Police Chief Lee Birk. 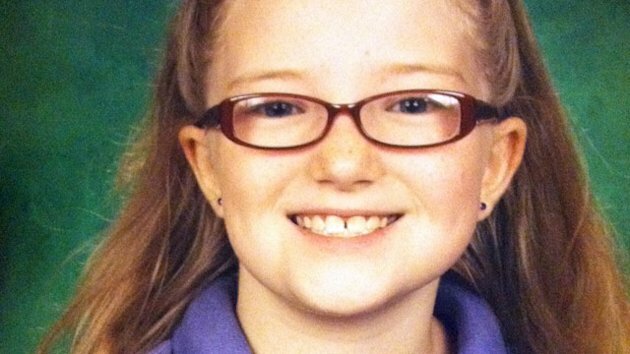 The girl had been missing since Oct. 5. "The commitment of the task force of investigators in this case will not waver," said James Yacone, special agent in charge of the FBI's Denver office. "Our commitment and resolve to seek justice on behalf of Jessica will only grow stronger." Yacone said that in the past week investigators have searched 500 homes, 1,000 vehicles and received 1,500 tips. ABC News reported Wednesday that law enforcement sources believed the body found in Arvada, Colo., was Jessica's, based on several factors. Positive identification, however, was delayed until now because the body was badly dismembered and "not intact", police said Thursday. Jessica's body was found about seven miles from her home in Westminster, Colo. Her backpack and water bottle were recovered from a neighborhood subdivision in Superior, Colo., on Sunday. Ridgeway's mother, Sarah, told police she last saw her daughter in Westminster Friday morning when Jessica left for school. The fifth-grader never showed up at a nearby park where she was supposed to meet friends for the one-mile walk to her elementary school. It was a route she took every day, but this time she never arrived. The school called to report Jessica absent, but Sarah Ridgeway told police she was asleep during the day because she works overnights and did not get the call until eight hours later, when she called police. On Thursday, the FBI Behavioral Analysis Unit released a profile of who they think committed the crime. The suspect is most likely a man, the FBI said. He might have been a "no show" and missed work immediately after the incident and offered a plausible excuse such as illness, death in the family or car trouble. The individual might express an intense interest in the status of the investigation and pay close attention to the media. But some offenders might quickly turn off media accounts or try to redirect conversations concerning the victims or their families, according to the FBI. "It could be your boss, it could be your friend and, ultimately, it could be your family member," FBI spokesman David Joly said.